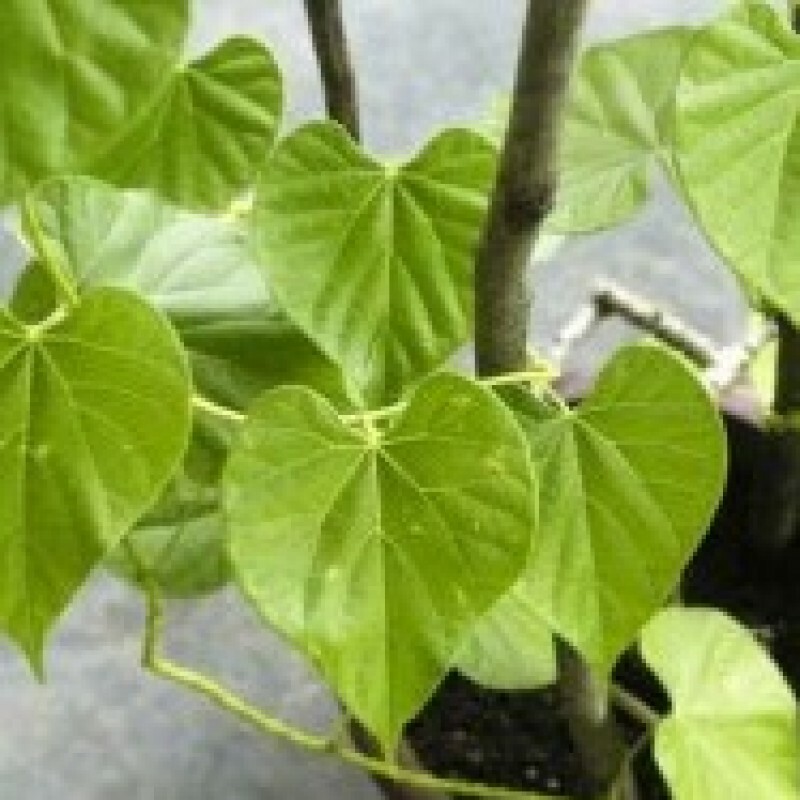 Tinospora cordifolia, which is known by the common names Guduchi and Giloy, is an herbaceous vine of the family Menispermaceae indigenous to the tropical areas of India, Myanmar and Sri Lanka. The plant is a glabrous climbing shrub found throughout India, typically growing in deciduous and dry forests. The leaves are heart shaped. The succulent bark is creamy white to grey in color, with deep clefts spotted with lenticels. It puts out long, slender aerial roots, and is often grown on mango or neem trees. Flowers are yellow, growing in lax racemes from nodes on old wood. Fruits are drupes, turning red when ripe. There are many common names for this species in different languages. Punjabi: گلو (Gllow) Telugu: తిప్ప తీగ (Tippa-teega), Tamil: சீந்தில் கொடி (Shindilakodi), Malayalam: ചിറ്റമൃത് (Amruthu, Chittamruthu), Kannada: ಅಮೃತ ಬಳ್ಳಿ (Amrutha balli), Khmer: បណ្តូល​ពេជ្រ (bândaul pich) Sinhala: Rasakinda, Thai: บอระเพ็ด (boraphét) Hindi:geloy (गिलोय), guruc (गुरुच), gurcha, Gujarati: galac, garo, Sanskrit: Amritavalli (अमृतवल्ली), amrta (अमृत), cinnodbhava (छिन्नोद्भवा), Marathi: Guduchi (गुडूची), gulvel (गुळवेल) Oriya: Guluchi. In Ayurveda, Guduchi is considered one of the most divine herbs.